We are honored to have been selected by our friends at Chick-Fil-A on Orange Avenue as the featured Foundation of the month! 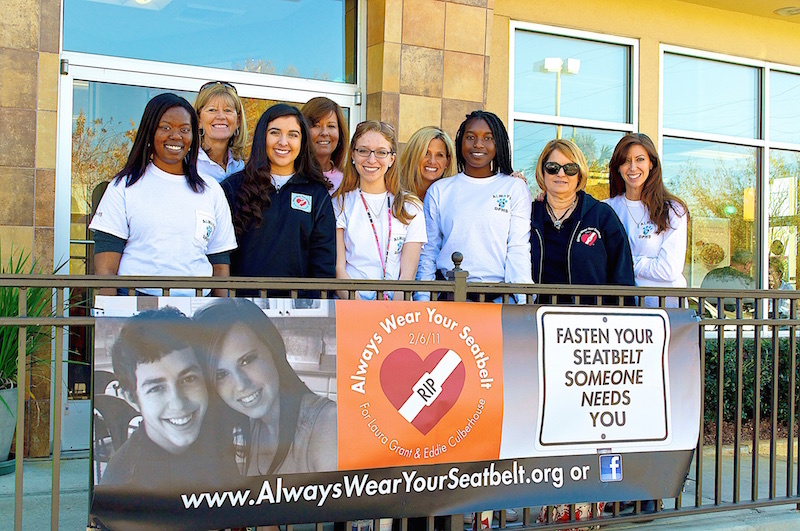 Each Saturday and throughout the month, both the Foundation & Boone, Lake Nona & Dr Phillips Always Wear Your Seatbelt Clubs will have a strong presence in raising awareness and sharing our story to the many members of the community. Updates to follow on FB throughout the month! The Orlando Magic’s Bo Outlaw & Nick Anderson will be working the drive-through window and sharing our safety message while Foundation members, Club members & the Chick-Fil-A cow hand out awareness bands, AWYS stickers and encourage patrons to take the pledge to always wear their seatbelt. Our goal is a minimum of 1000 new pledges within our community this month. We are also excited to unveil one of our newest awareness vehicles, a LYNX bus that will make a debut this Saturday, displaying Laura & Eddie’s powerful message. This bus will be seen by nearly half a million people a week. In addition, be on the look-out for our billboards around town that will display our safety message now through Spring Break. Another way we need your help is in changing your Facebook profile picture to our logo for the month of February? 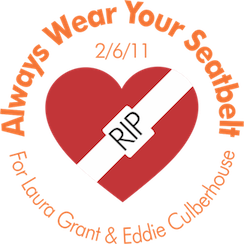 Thank you all for your continued support of carrying on Laura & Eddie’s legacy while saving lives! More details to follow and we hope to see you Saturday!